Carsplus is Bidsonline’s operational and financial system for car auctions. 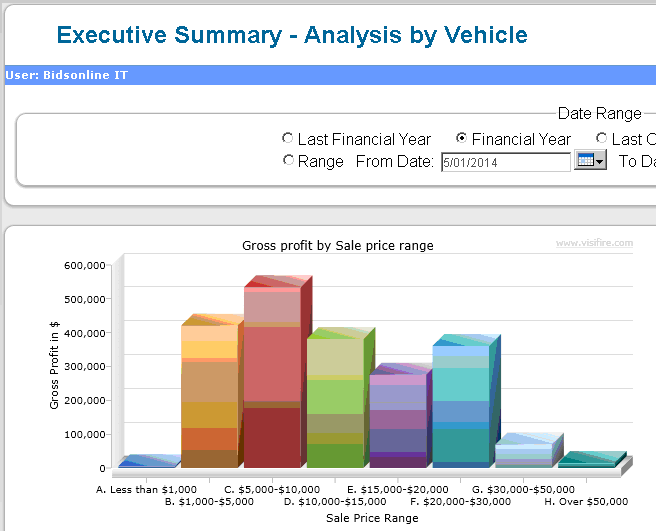 Carsplus is a client/server system with web based executive reporting. The server can be run on your servers or on our ‘cloud’ servers. The software is written using Microsoft’s programming languages and Microsoft’s SQL database. Designed specifically for car auctions and volume sellers of used cars, Carsplus has been processing over 100,000 cars a year for 20 years! Integrated PPSR searches. PPSR certficates are automatically downloaded and recorded against the items. If encumbered the items can be flagged to withhold payment until cleared. Full trust accounting within the system. Hand-held booking in, inspections, stock take and tracking. VIN lookup provides accurate vehicle descriptions and dramatically speeds up booking in vehicles. Full retail selling capability including after market and extended warranty. Fully integrated with Bidsonline’s live bidding system, online auctions and online vendor reporting system.